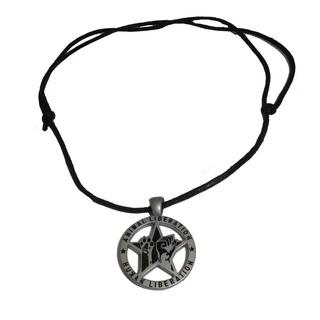 The Animal Liberation - Human Liberation pendant is made of stainless steel. It's easy to maintain, doesn't tarnish nor corrode. We send it to you with a approx. 65 cm long cotton necklace (diameter 1.9 cm) with slipknot which allows you to adjust its length. 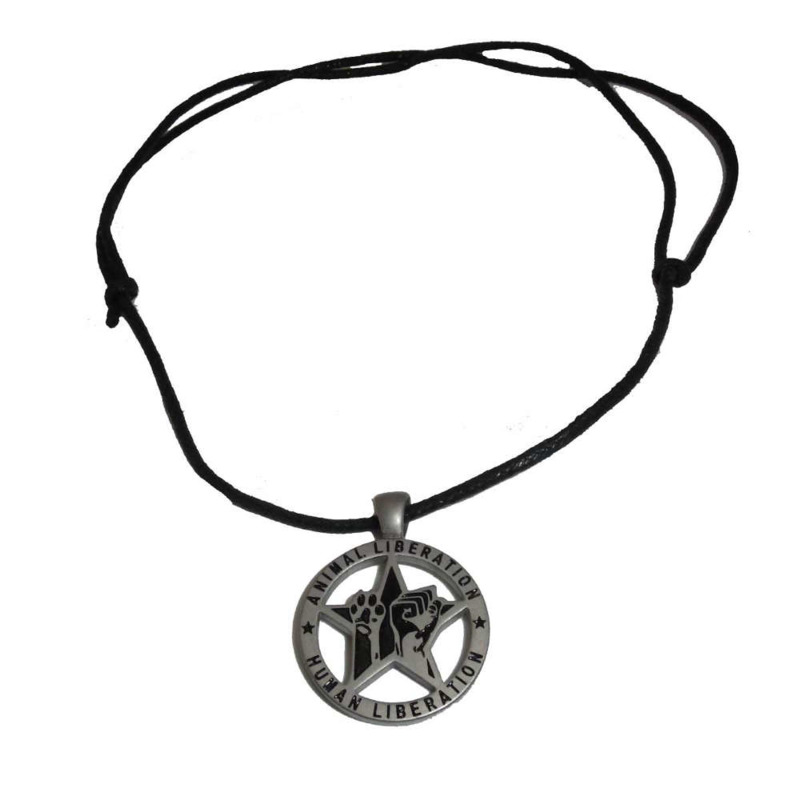 For every sold pendant we donate Euro 3.30 to the Erdlingshof. The pendants are produced in a small family business in China. We were warranted that the working conditions are good and payment fair.